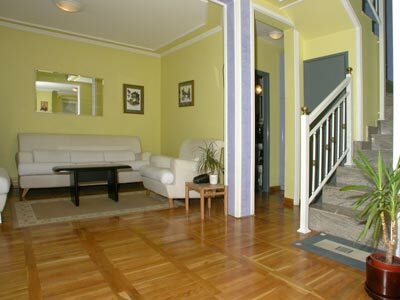 Accommodation Belgrade apartments rental # 1 is located in the central part of Belgrade, in Vracar, Goldsvordijeva Street. 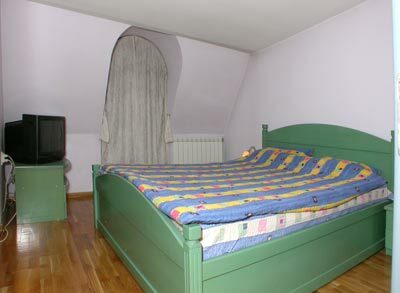 Belgrade apartments holds an ideal accommodation position in center of Belgrade. 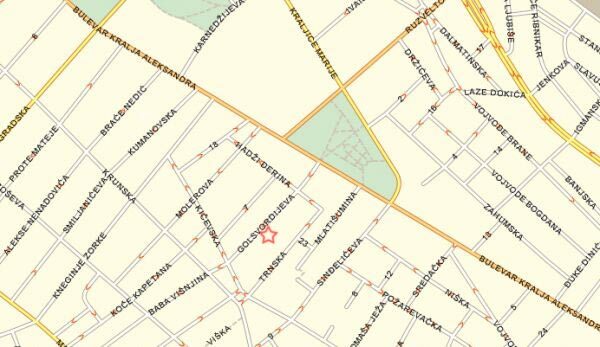 There are two Belgrade parks nearby, Vuk Monument Park and Tašmajdan. 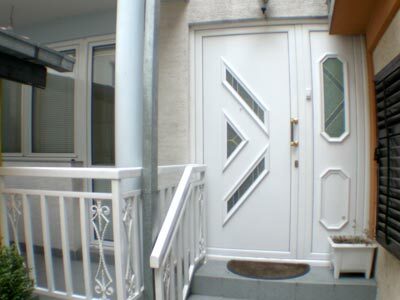 From Belgrade apartments there's easy access to any other part of Belgrade. 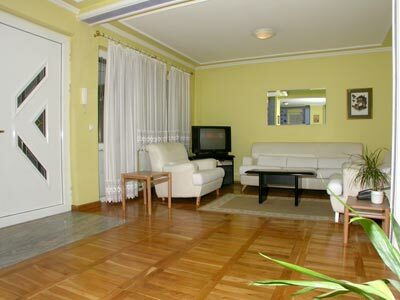 Rent Belgrade apartments for great but cheap accommodation. 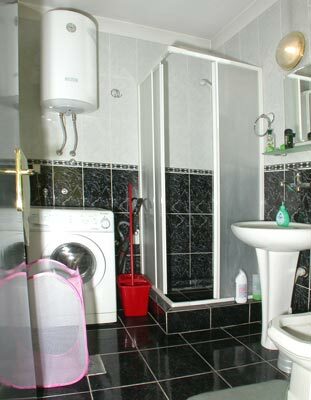 Accommodation Belgrade apartments rental with an area of 120m² and modern equipment, has two bathrooms and three bedrooms. 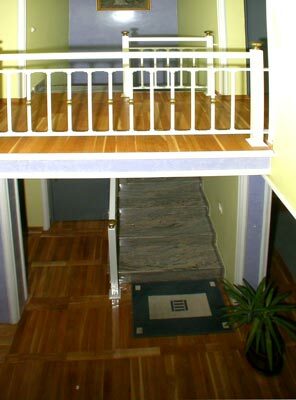 Downstairs: TV lounge, cable Internet equipment, bar, kitchen, dining room, bathroom with a shower, balcony with a view of the garden, air-conditioning. 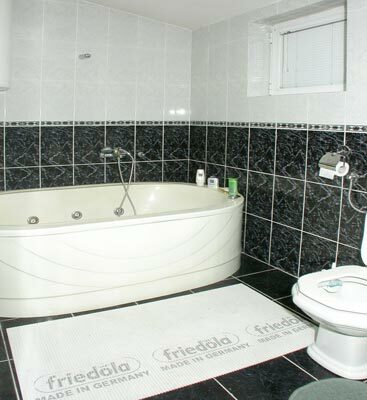 Upstairs: three bedrooms (one single and two double) and a bathroom with Jacuzzi bath tub. 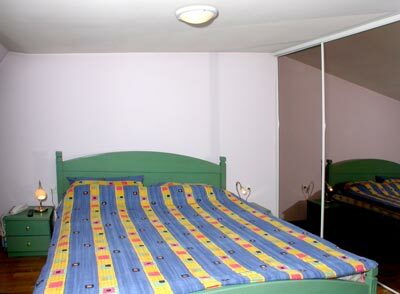 The double rooms have fold-away sofa beds, spacious cupboards with mirrors and cable TV. 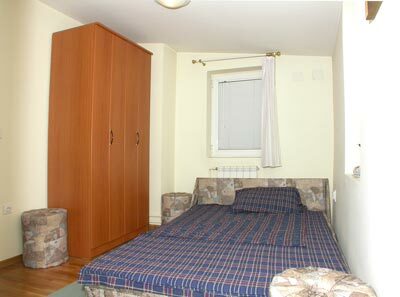 The single room has a bed, a desk, a leather armchair, cable TV. Maximum number of guests in this apartment is 5+1. 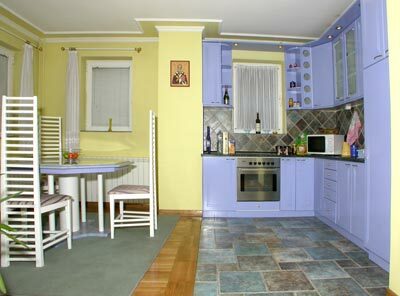 Accommodation Belgrade Apartments are constantly available for long or short-term rental at promotional prices. Stay longer and get a lower rent price of apartment. Full pricelist and reservation form. Belgrade, a city of very tumultuous history, is one of the oldest cities in Europe. Its history goes back 7,000 years. The area around two rivers, the Sava and the Danube has been inhabited as early as Paleolithic period. Remains of human bones and skulls of Neanderthals, found in the stone-pit near Vinca, Zarkovo and Gornji Grad, across from the Sava-Danube confluence point. 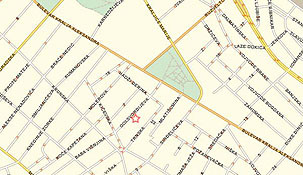 This is exactly where our apartments are located. From 16 to 19 century Belgrade was mentioned under different names: Alba Graeca, Nandor Alba, Griechisch Weissenburg, Alba Bulgarica, Bello grado, Castelbianco ... In Slavic languages all these terms mean Belgrade. Situated at the crossroads, at the gate of the Balkans, Belgrade has always been the target of great conquerors-Romans, Turks, Austro-Hungarians had all fought over it. In its long history, Belgrade has been demolished and devastated many times, particularly in the Second World War, 1941, as well as in 1999. NATO bombing.